I bought a tube of cookie dough awhile ago. I finally decided to use it in this cookie pan to do something different. Considering that it was not home made cookie dough it came out pretty good in this pan. Preheat oven to the temperature on the cookie dough package. This one was 375 degrees. Spray the giant cookie pan with Pam. 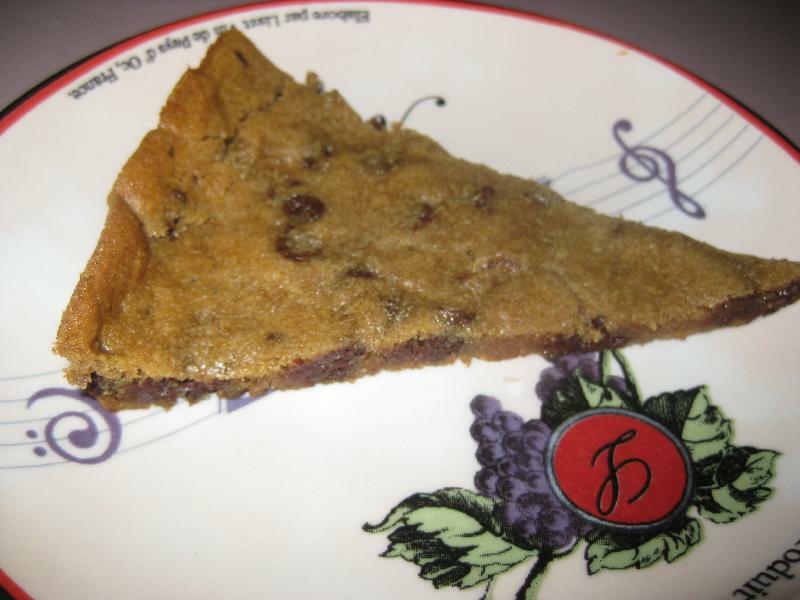 Place the cookie dough into the pan using small chunks of the dough. Press down the cookie dough until it covers the entire pan. I baked this cookie for 14 minutes until it was golden.